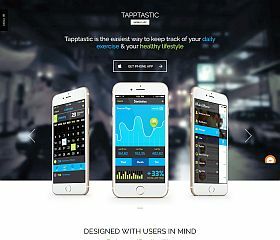 Tapptastic allows you to showcase, share, and feature your app in style – it’s a landing page theme built specifically to encourage downloads. 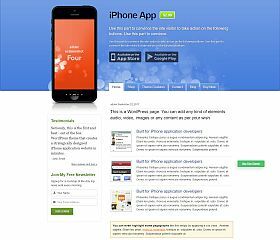 iPhone App was built to promote your mobile app download on the Apple App Store, Google Play Store, or anywhere else with this responsive and easy-to-use app landing page WordPress theme. Completely widgetized, creating the perfect layout has never been easier. 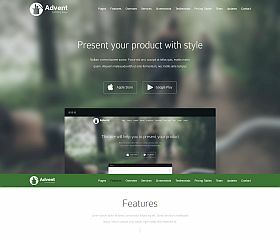 Advent is the perfect landing page WordPress theme – for promoting your app, it will help you drive sales, downloads, and help spread awareness. It includes: custom shortcodes, responsive layout and design, clean and well-documented code, sticky menu, contact form, pricing tables, and dozens of other options and features that have been included to give you a powerful and conversion-optimized page. Variant is set up with multiple templates/styles to choose from, a bundle of 5 landing page themes for WordPress – giving you an amazing deal for one price. Included with this package are 5 pre-defined styles (but you can also customize them to suit your needs): tour packages, hotel, spa/health/wellness services, wedding, and car rental/taxi/limo. 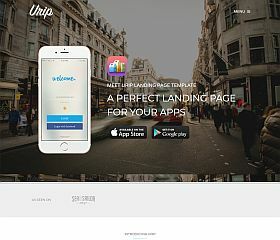 Landing Page is a theme that allows you to customize nearly every aspect of this mobile-friendly design to create a landing page that is beautiful, and converts. From WooCommerce support and integration to content/image sliders to the animated testimonials and drag-and-drop widget pages, it provides a professional look while keeping a clean and fresh-looking design. Destino is a landing page theme for WordPress that was designed for conversions – simple, visually appealing, and easy to customize. The design is built on a responsive layout, ensuring that your site looks great on all sizes of screens and types of devices. 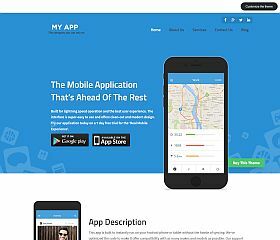 MyApp is a flexible and easy to customize WordPress landing page theme, a complete solution will have you creating beautiful pages in minutes. With WooCommerce support, a responsive layout and design, visual page builder, SEO optimization, clean and modern design, and real-time editing and previewing on the fly – it provides the ultimate solution for helping you generate more customers and leads. Materialism is a clean, modern, and refreshing WordPres theme for landing pages that has been created with the popular Material Design-style look and features. MyBook features a very powerful and robust administration area and options dashboard, making it easier than ever to set up your marketing and landing pages. With the front-end visual composer editing capabilities, you can see the changes to your site in real-time while the powerful newsletter system allows your site to easily integrate with the most popular email marketing providers like: MailChimp, aWeber, FeedBlitz, and FeedBurner. 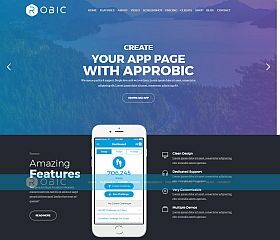 Robic is a flat design Bootstrap landing page WordPress theme, that is responsive and adapts to any screen size. Custom features, uncluttered design, pricing tables, and more are all included. 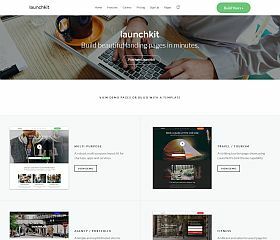 Launchkit comes with a responsive design, parallax design elements, multiple demo options to choose from, and numerous features – this WordPress theme gives you a world of flexibility and control for your marketing and landing pages. 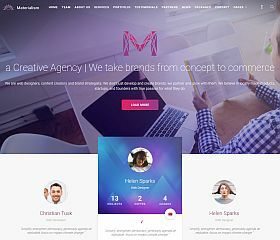 Meminz is a responsive Bootstrap theme for WordPress was built for software companies and software as a service (SAAS) businesses, and includes integration with the popular Easy Digital Downloads WordPress plugin, Google Fonts integration, and more. 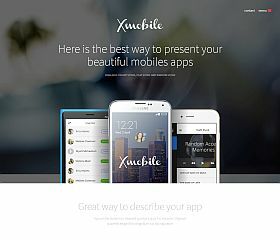 Xmobile is a responsive WordPress landing page theme built with Twitter Bootstrap, this theme includes many different variations and options for you to choose from: light and dark styles, 3 unique starter layouts, image/video/background options, 7 unique color schemes to choose from, integration with MailChimp, and more. 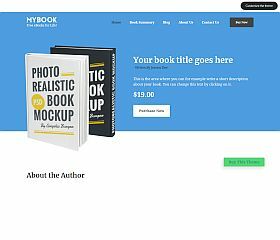 Book is a great solution for those wanting to market, promote, and sell their ebooks. 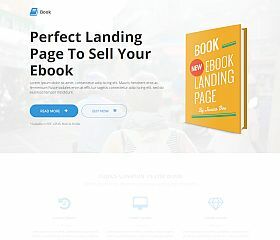 With a responsive design, CSS animations, multiple sections, and a drag-and-drop page builder – setting up a landing page for your ebook has never been easier. 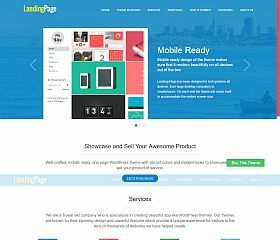 Startos comes with multiple variations and styles to choose from, this landing page theme includes all of the features and options you need to create a great-looking landing page. Features: premium Revolution Slider WordPress plugin, 3 unique styles (app, services, and studio), responsive layout and design, custom colors and fonts, video background capability, smooth scrolling, built-in contact form, and you can customize to suit your needs. Benchmark allows you to get up and running in no time, it’s a powerful and flexible landing page theme for WordPress. Features: material design style, 13 color schemes, 8 layout templates/options, WooCommerce integration, responsive layout and design, built-in contact forms, parallax design functionality, full-screen page layouts, drag-and-drop page builder, and dozens of other customization options. 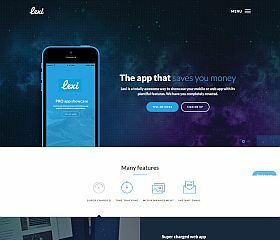 Lexi is a theme built for promoting apps, services, and products. Simple and easy-to-use it offers a clean look with multiple styles to choose from, features like pricing tables and accordians, and a responsive design that ensures your site looks good on all sizes of screens. 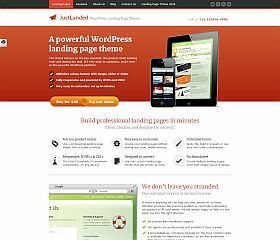 JustLanded is one of the most popular landing page themes for WordPress on ThemeForest, this theme provides the ultimate solution for creating landing pages. Features: features list, testimonials, pricing tables, multiple demos/templates to choose from, responsive layout and design, built-in modal windows and image lightboxes, call to action buttons, newsletter sign-up boxes, and integration with the popular WooCommerce plugin for WordPress. 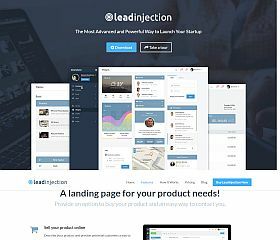 Leadinjection is a theme that comes with a half-dozen pre-made templates included (SEO service, eBook, online course, medical, mobile app, and conference/event), a responsive layout and design, Bootstrap-built, Google Maps integration, premium plugins, and an icon set that includes nearly any type of icon you could want – this is a very flexible theme that can fit many different types of sites, industries, and topics. 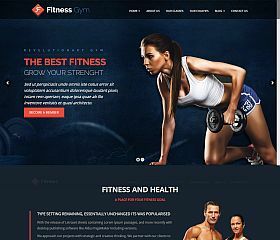 Fitness is a theme that comes equipped with a dark and light color scheme to choose from, responsive design, smooth scrolling, hero featured content slider, newsletter signup box/integration, video background capabilities, and premium WordPress plugins included – it makes the perfect fit for any health or fitness website. Ananda includes dozens of features and options are included, allowing you nearly unlimited control over the customization and look of your site. 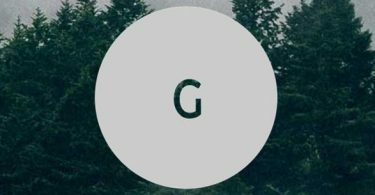 Built for the Layers framework, this theme provides the perfect platform for showcasing the products or services you’re wanting to promote. 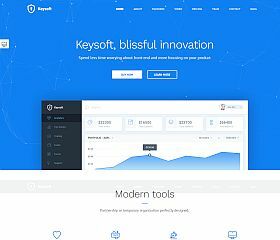 KeySoft features a clean and professional design that gives your content plenty of room to shine – so you can give the products or services you’re promoting the attention that they deserve. With a responsive design, drag-and-drop page builder, multiple templates and header styles to choose from, unlimited colors to choose from and Google Fonts integration, it is one of the most beautiful and customizable themes available. 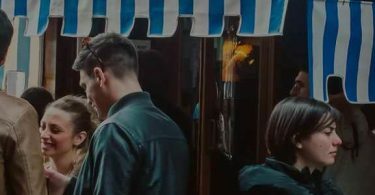 Urip was built with nearly unlimited options and customization features to choose from, giving you control and flexibility to create a page that converts your visitors into buyers or subscribers. Set up with multiple templates, this Bootstrap-built theme is responsive and can do anything from collecting email addresses to selling products (via integration with the popular WooCommerce WordPress plugin). RPM was built for dealerships of all kinds (car, motorcycle, boat, and other vehicles) – a great solution for generating leads for your business. 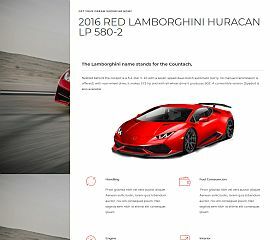 Built specifically for the vehicle industry, it includes a responsive layout and design, built-in contact/quote form, lightbox, and is built upon the popular Twitter Bootstrap. 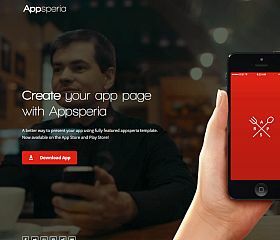 AppsPeria features a beautiful and modern design and unique layout and functionality, this theme is perfectly suited for marketing your app. 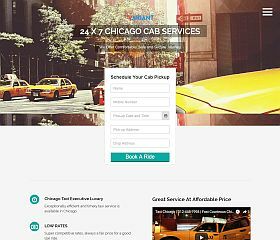 The theme is responsive and includes multiple styles and flavors to choose from: Travel App, Food App, Games App, and Creative App – while it can be modified and customized to work for nearly any type of web or mobile app. 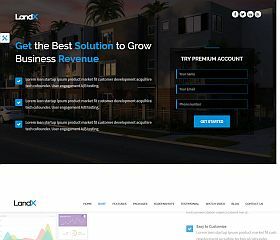 LandX is a multipurpose, responsive landing page WordPress theme with 10 unique homepage variations/styles to choose from, a clean and clear design, and features that will give you a professional, sharp-looking presence that is conveyed to your visitors. 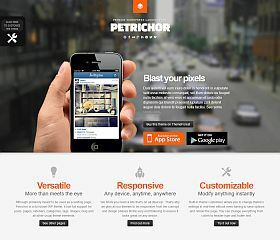 Petrichor was built with Bootstrap, a responsive WordPress landing page theme to showcase your app, product, or service. Multiple page templates, multiple header options, 6 unique background designs, 9 unique color schemes, integration with MailChimp and aWeber, and an Ajax-powered contact form all come built into the theme – giving you plenty of features you might need when promoting your product, service, or app. 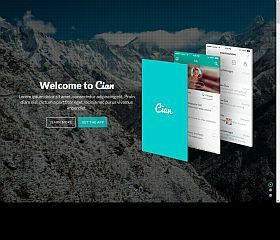 Cian was built for when you need a responsive and ultra-modern landing page that has been developed with the latest web development techniques. Simple enough that it doesn’t distract your visitors with too much information or clutter, it is laid out in a design that allows you plenty of space to display all of the information you might want to share with your visitors. 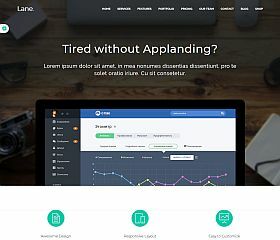 Lane is a modern, flat-style design landing page theme for WordPress that is responsive and adapts beautifully to all screen sizes – this theme will give you unmatched ease-of-use and aesthetics for your site or startup. 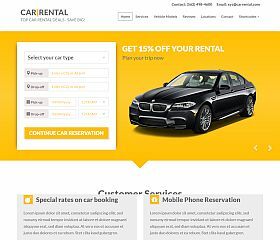 Car Rental Landing Page proves that appearances can be deceiving, and powering this clean and simple theme is a powerful lead generation solution for anyone in the car rental industry. 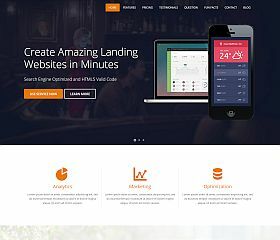 Optimized to increase conversions, it includes a number of useful features and extras not found in many other landing pages: autoresponder, checkout and form built-in, responsive Bootstrap design, integration with MailChimp, and more. 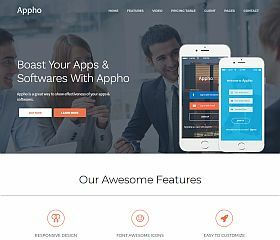 Appho features custom shortcodes built-in, Google Fonts integration, a responsive design and framework, Redux framework integration, parallax background elements, and special sections for things like testimonials and team members – this theme provides the perfect landing page for your software or app. 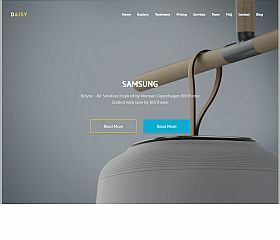 Daisy allows you to showcase or market your product with simplicity and style. Easy-to-use options allow you to build your site with ease, including: Google Fonts and Maps integration, built with Bootstrap, single page layout, parallax background elements, built-in contact form, and theme options that can be customized to suit your needs. 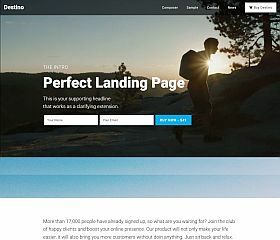 BeSmart is a versatile and flexible landing page theme for WordPress that has been optimized for conversions, and can adapt to nearly any type of content, product, or service. The theme comes with 14 pre-built demos/templates to choose from, responsive layout and design built with Bootstrap, premium Visual Composer WordPress plugin, highly optimized (for conversions, speed, SEO, and functionality), and is highly extendable via the built-in theme options dashboard. Whether you’re promoting an app, ebook, product, or service – using landing pages are one of the most effective and efficient ways to convert visitors to buyers. Optimized for conversions, landing pages are the ultimate tool for marketing and selling products and services. From collecting emails to lead generation to direct sales, a landing page can mean the difference between success and failure for your business.